"The Ancient Tamil Poetry & Science/Emergency Medical care"
And another medicines which gives you , the original form of the person . You go and bring them, “he said along with their identification. 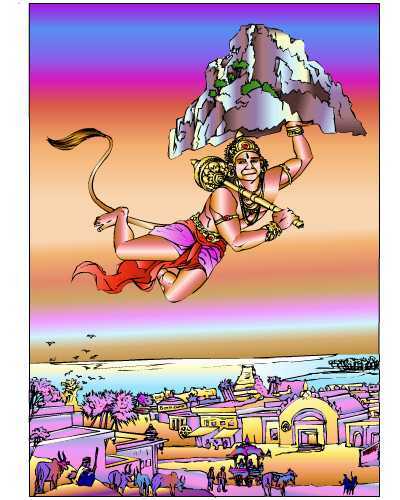 Jaambavaan urges Hanuman to rush to the Sanjeevi hill and bring forth the herbs, so that all the fallen and slain Vaanaraa[monkey] warriors (of course, including the human Lakshmanan) could be revived.Hanuman leaps out northward to a long journey, searching all the while for the Sanjeevi hill and One who read this passage will definitely surprised at the kind of TRAUMA MANAGEMENT that the ancient Tamizh-s practised.A key factor in the lives of ancient Tamizh-s was ‘battle' and performance therein.Heroic deeds were hailed in toto, and the Sangam literature has numerous such deeds to enumerate.Running parallel to deeds of heroism, is the undercurrent of bedside and emergency medical practice. 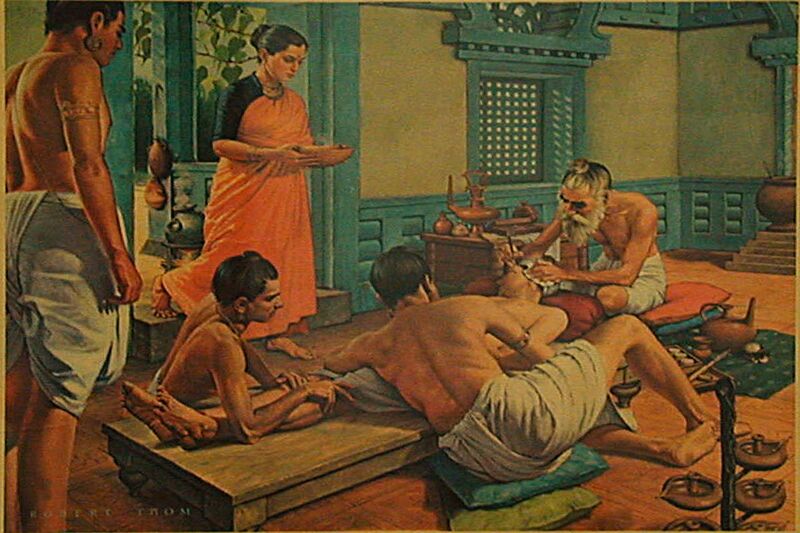 Purananuru talks of fresh wounds and wounds that had bits of weapons stuck in themselves.These wounds were treated with viscous applications (similar to ointments of today) and were stuffed with soaked cotton.When wounds were many, the individual was made to lie on terracotta stretches that were smeared with emulsions.For example,Purananuru 281,explains the treatment of chest wounded warrior by his wife with her girl-friends. Put in the thatched roof of the house entrance some leaves of Mango tree and Neem tree. Let us play yazh sting-instrument and other drums. 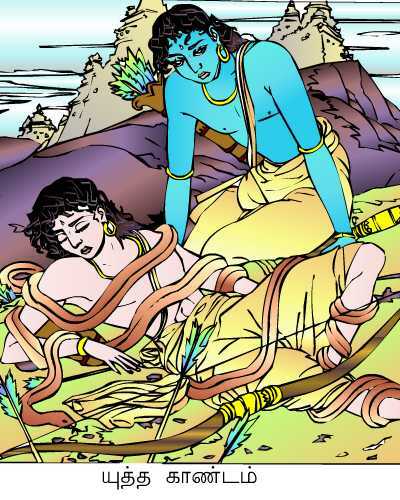 Apply us hands gently on his body to remove pain. Apply some mustard-oil on the wound. Ring the bell with lullaby song to make him sleep. Make entire room fill with fragrant smell. This is the way, we have to treat him. You, my friends, please co-operate with me. He is hero who saved the king the attack of the opponent. It is not any exaggeration,It is just true translation of Purananuru 281! This particular king had gone to the battle-field earlier; and there, had sustained injuries on his chest. One such injury was long and deep. It was sew together.In the process of keeping the borders of the wound together, a needle that shone like silver (or a silver needle) was put in and drawn out. The movements of the needle being taken up and down, looked like a like cunning sharp-beaked kingfishers that dive again and again into cold ponds in search of fish.The description is awesome. It talks of the instrument used; of the type of treatment accorded; the style of implementing the treatment (or method); the speed and technique by which it was carried out.‘Velloosi' could probably indicate that the needle was shiny, but also can mean that the needle was made of silver. As the fish cut through the stretch of water, the sharp edged needle did so.